If I were to ask you to sit back, close your eyes, remember your childhood, and ask you what you wanted to be when you grew up, what would you say? I’m sure many of you would have very noble or commendable answers. Some of you might say that you dreamed of being a doctor, perhaps others a fireman, or even the first woman president. Maybe others of you wanted to follow in the footsteps of your mom, dad, or your role model. Well, when I was eight, I wanted to be the cashier at a dollar store and drive a Volkswagen Beetle. True story. While I did drive a red VW bug for a few years, my career ideations changed while I was in high school. So, what am I doing now? For starters, I’m no longer eight years old. 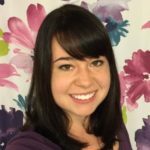 I’ve graduated from college, moved across the country, and started a graduate school program to train for a career that many people are not familiar with – a career as a genetic counselor. What in the world is a genetic counselor? One of the first things they tell you in a genetic counseling program is to develop your elevator speech for how you’re going to briefly describe the job of a genetic counselor. You never know who and when you’re going to be asked about it. It could be your relative at Thanksgiving dinner, the woman in the grocery store, or even your dentist. You may laugh, but I have in fact tried to explain what a genetic counselor does while a dentist poked and prodded around my mouth. Why do they always insist on asking questions? Genetic counselors are medical professionals with special training in genetics and the corresponding emotional issues that may occur. We strive to help people through potentially difficult times and to help them understand genetics and how it can affect them and their family. Genetic testing can have different implications for family members because it can change the therapies they will receive, and can determine their risk for various medical conditions. Our purpose is to make people aware of their options and to help them come to a decision that is most in line with their personal values and beliefs. Although physicians cover many areas of medical care, a genetic counselor specifically focuses on genetics and how to navigate these issues. In truth, anywhere that there is a need to understand genetic information, there is often a genetic counselor there: when someone is trying to become pregnant, when someone is pregnant, when there is something unusual about a child or adult’s growth and development, when someone is thinking about or having genetic testing, when someone has cancer, or any other time genetic information could affect your life. Genetic counselors can be found doing so many things in so many places. Genetic counselors are like DNA Information Superheroes! We aren’t doctors or nurses. Genetic counselors have specialized training in genetics and counseling that is different than physicians and nurses. We’re also required to pass a genetics board exam and fulfill continuing education to maintain that certification. We’re not going to tell you that you shouldn’t have children. A genetic counselor will provide you with information that can help with your decision about whether to have children and will support you in making a decision that works for you and your values. We’re not going to force you to have genetic testing against your will. Also, most genetic testing is not painful because it can be done using a simple blood or saliva (spit) sample! Yes, you read that correctly. A genetic counselor is not going to tell you what to do. Our job is to give you as much information as possible so that you can make your own decisions about your family’s health. Genetic counselors will be supportive of you and provide assistance, but they cannot provide you with comprehensive psychological care. However, they may be able to refer you to a support group or mental health professional if it’s appropriate. Now, sit back, close your eyes, remember your childhood, and tell me, what did you want to be when you grew up? Is that what you ended up doing? Want to learn more about what genetic counselors do and where we work? Check out the new National Society of Genetic Counselor‘s information site or use the Ask a Question feature on ThinkGenetic homepage and ask away! Thank you for writing this, Morgan. It is helpful to know what a genetic counselor is (and isn’t) and the times in which a person may want to seek one out. You’re very welcome, Ruth! 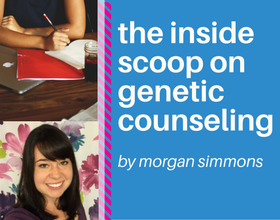 Although genetic counseling is both an exciting and up-and-coming field, it’s still a career that many people are unfamiliar with. Thank you, Michelle! I’m glad you found this information informative!